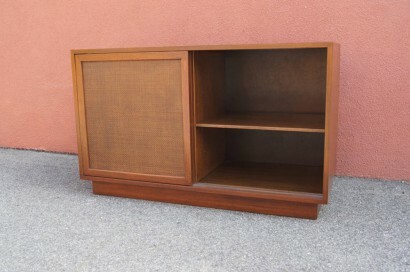 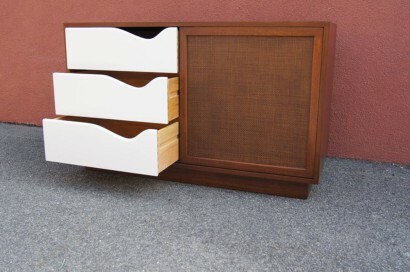 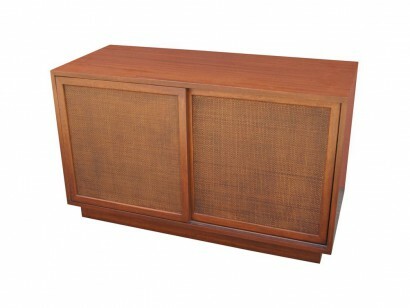 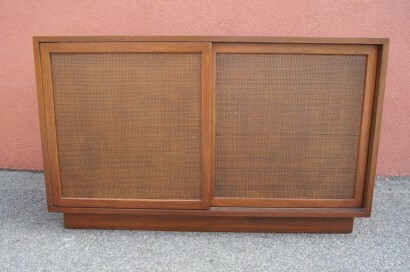 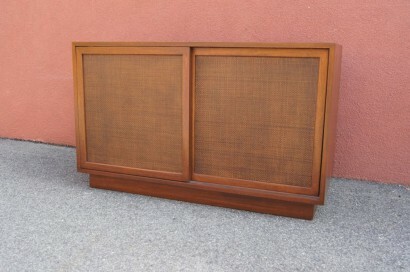 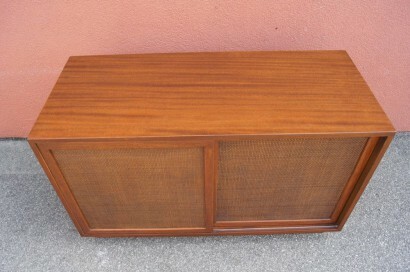 Designed by Harvey Probber, this small midcentury cabinet features a mahogany case on a plinth base. 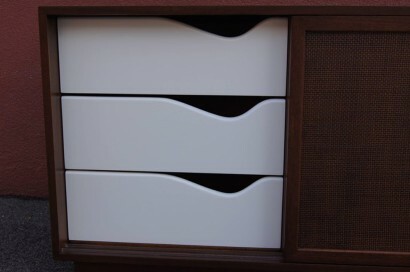 Cane-front sliding doors conceal, on the left, three deep drawers with white lacquered fronts and, on the right, additional adjustable shelving. 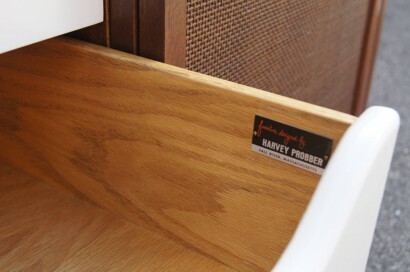 Harvey Probber label inside top drawer.